It’s in the Keiller family archive that proof exists of the city’s claim to be the home of both marmalade and Dundee Cake. 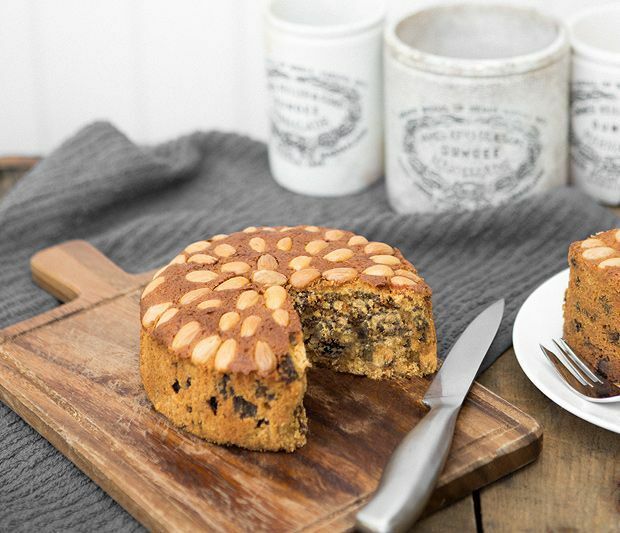 Keillers not only developed the ‘chip’ method of making Seville orange marmalade but the founder of the dynasty, Janet Keiller, also created the distinctive all-butter sultana cake, flavoured with their own candied orange peel and topped with whole, blanched Spanish almonds. Such was the family’s legacy of aiming for quality, that for generations its name in the city was synonymous with the best. Janet Keiller was a great example of the fine Scottish culinary tradition of making better out of good when, in the late 1790s, she transformed thick-paste marmalade – cut with a knife – into a spreadable version with the peel cut into ‘chips’. Under her roof, in the fashionable Seagate area of the town, she launched the family into large-scale production of artisan products from the confectionery, preserving and cake-baking trades. Two generations on, her grandson Alex would become the key figure in the latter half of the 1800s, when the firm ranked in the trade above Cadbury and Rowntree. By then, Keillers Dundee marmalade and cake had become standard on breakfast tables and cake-stands in every corner of the UK, the British Empire and beyond. While Keillers led the way, others followed. Many kept true to the original. But some had other ideas. To the cake some added spices or ‘black jack’, a burnt caramel colouring used to fool eaters into thinking spices had been added. Glacé cherries, currants, raisins, butter substitutes and most noticeably, sprinkling flaked almonds on top, are among other desecrations. For some of today’s Dundee bakers the original cake seemed in danger of extinction. Now they are claiming it back for the city and have applied for an EU Protected Geographical Indication (PGI). To celebrate Dundee’s claim to its world-famous cake heritage, let’s hope they succeed.